Updated Sunday March 10, 2019 by Joe Camarda. 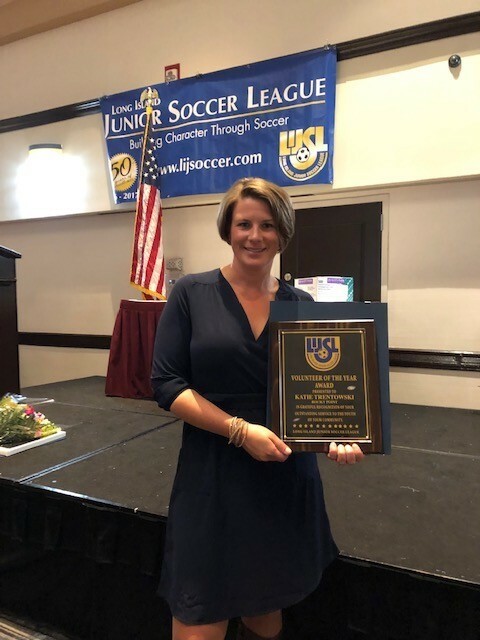 Conratulations to Katie Trentowski for receiving the 2019 LIJSL Volunteer of the Year Award! We are very proud and happy to have Katie part of our soccer club. Thank you for making our club better and for all you do.